From drinking chocolate to bath bombs, there’s no shortage of innovative cannabis-infused products. Now, thanks to an industrious hive of bees, you can add honey to the list. These bees making honey from cannabis are under the watchful eye of 39-year-old beekeeper Nicolas Trainer, otherwise known as Nicolas Trainerbees. At only seven years old, Trainer began to display signs of hyperactivity, which led to behavioral problems and, eventually, dropping out of school. Not long after this, he became aware that using cannabis actually helped with his condition, and thus began his lifelong interest in marijuana. 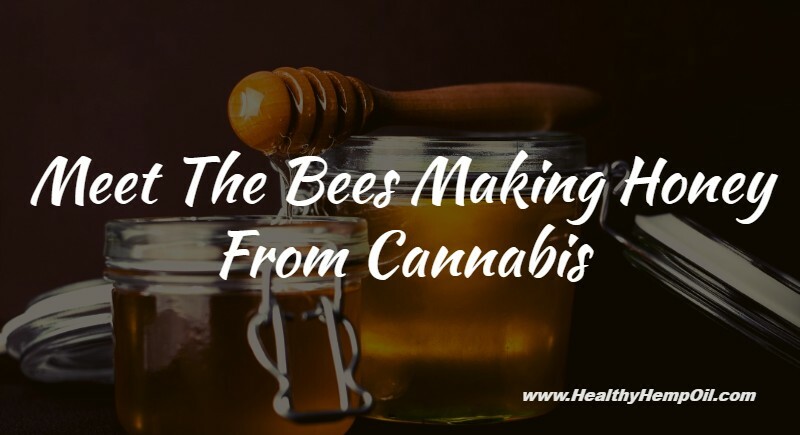 Years later, his interest in cannabis was matched by his interest in beekeeping—so much so that a number of people familiar with Trainer were curious to know if he would ever use his specially trained bees to make honey from marijuana plants. Trainer, aware that honey is a natural substance chock full of its own benefits, was only too happy to oblige. 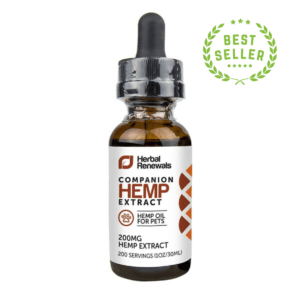 Trainer believes that, by combining the widely accepted health benefits of honey with the observed CBD benefits, he has created the world’s first all-natural cannabis edible. 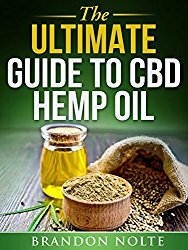 He is quoted as saying, “for some time, I had known about the health benefits of bee products such as honey, propolis, pollen, wax and royal jelly and also about the benefits of cannabis.” So it seems it was only a matter of time before his love of bees and his love of marijuana would overlap. Now for the big question: How does it work? Well, Trainer has managed to “train” his bees to make honey after gathering resin from his cannabis plants. This concept of “bee training” isn’t new to Trainer, having already successfully trained his hive to collect sugar from fruit instead of flowers. He’s a little coy about what exactly goes into his training technique, but these specially trained insects are collecting the resin and using it in their beehive, leading to the creation of the final substance. As this is such a newly observed phenomenon that no one has had the opportunity to really test the final honey product. Therefore, we can’t really know yet just how much of the original cannabis is still present at the end. However, Trainer is adamant that it is there in the honey, leading to a double whammy of potential health benefits. Are the Bees Making Honey from Cannabis Getting Buzzed? The animal (and insect) lovers among you may be concerned that being exposed to cannabis could be detrimental to the wellbeing of the bees. Well, according to Trainer, they are perfectly fine. Bees do not have an endocannabinoid system and are therefore unaffected by the cannabinoids that could lead to a “high” in other creatures. In fact, Trainer posits that everything that passes through the bees’ systems is improved. They turn the resin gathered from trees and plants into propolis (otherwise known as “bee glue,” which is used by the bees as a sealant in their hives). 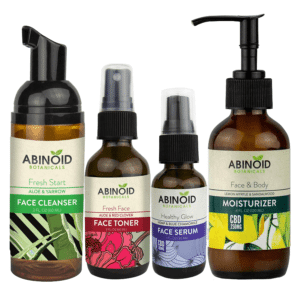 This substance also potentially contains antibiotic, antiseptic, antifungal, and antibacterial properties. What Does Cannahoney Taste, Smell, and Look Like? 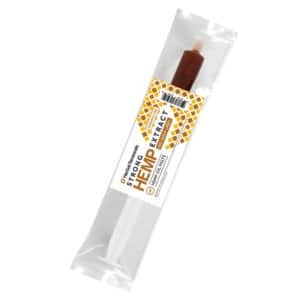 The final honey product has been described as having something of a “floral” aroma and a pleasant taste with the color altering slightly depending on the strains of cannabis in which the bees have been foraging. It is usually a light green or yellow color. So, Are His Claims True? Well, according to Darryl Cox, information officer from the Bumblebee Conservation Trust, it is possible that Mr. Trainer’s claims do, in fact, stack up. Typically, bees will forage for nectar, which contains a number of secondary metabolites in addition to sugar, and these could result in a potentially calming or intoxicating effect when gathered from cannabis plants. In the past, it has been observed that honey from bees that collect nectar and pollen from particular plants can result in an adverse effect when consumed by humans. In particular, honey produced from bees who forage in rhododendrons is known as “mad honey” due to its toxicity. Wait a Minute. Can You Actually Train Bees? According to Tim Lovett, the director of public affairs at the British Beekeepers Association, it is entirely possible to train bees to seek out certain compounds. Speaking with a British Newspaper, Mr. Lovett indicated that he has previously visited a lab in which bees were being trained to stick their tongues out if they detected the presence of explosives. This led to interest from the US military, and there was even talk of positioning beehives at airports. So making honey from cannabis should be a relative walk in the park! To train a bee, chemicals must be added to sugar syrup, conditioning the insects to associate the taste with the sweetness of the sugar. This would mean that, in order to “train” bees to seek out cannabis resin, an extract would need to be added to sugar syrup and fed to the bees. What Next For Monsieur Trainerbees? Nicolas Trainer is now ramping up production with over 30 beehives and “highly trained” bees making honey from cannabis. Yet he faces legal difficulties by basing himself in his home country of France. This forces him to take risks by growing his plants in open spaces, far from his home, and transporting the plants close to beehives when the time is right for collection. This hasn’t stopped him from being quite open on certain social networks, regularly publishing research that backs up his various claims while also sharing photographs showing him and his bees hard at work. His pictures often include the honey spread invitingly on homemade crêpes, and he’s asked almost daily without fail just when his product will be available for purchase. 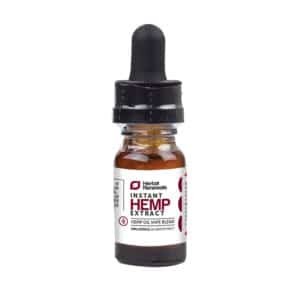 Those questions remain unanswered, though, as he appreciates the fact that his cannahoney requires a detailed analysis to determine all of its properties and benefits before it can be made commercially available. In the long term, his aim is to leave France behind in search of a country with a more accommodating approach to the growth and sale of marijuana and related products. As such, if things go according to plan, his next stop will be Spain, where he hopes he can work with industry professionals to analyze his work. What do you make of Nicolas Trainers’ claims? Would you like to spread his cannahoney on your toast in the morning (assuming you didn’t have to go work straight after)? Tell us in the comments.